When you need an emergency dentist, Lowell, MA dentists at Crosspoint Family Dental are happy to help. Whether you are an existing patient or not, when you need emergency dentistry, call our office right away! When you come in, our first priority will be to alleviate any pain, and then we will work with you to explore permanent options for whatever your emergency may be. We are conveniently located on 850 Chelmsford Street in Lowell, MA, and we have convenient hours to fit a variety of needs and schedules. When you need an emergency dentist in Lowell, MA, Crosspoint Family Dental will get you in and get the problem fixed as quickly as possible. There are many kinds of dental emergencies including cracked teeth, broken crowns or bridges, and toothaches. No matter what kind of dental emergency you are experiencing, our emergency dentist in Lowell, MA can help you feel better. We understand how painful toothaches are, which is why we will get you in right away, and go to work mending the source of your pain. If you are in need of an emergency dentist, Lowell, MA residents can trust Crosspoint Family Dental in times of need. Fear and anxiety cause a lot of patients to avoid the dentist, which unfortunately, often leads to the need for emergency dentistry. 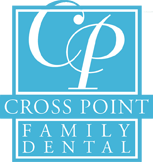 When you come to Crosspoint Family Dental, you will be greeted by our warm, caring staff members in a judgement-free environment. We understand why you have put off a visit to the dentist, and we want to alleviate your pain, and help you see that there is nothing to worry about. If you are having a dental emergency, be sure to call our office right away at (978) 459-6467. Do not give your tooth problem the time to get worse. Give us a call so you can be seen by one of our expert doctors right away. For a trustworthy emergency dentist Lowell, MA, can call upon at any hour, turn to Crosspoint Family Dental.